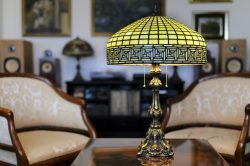 Are you in the market for a unique antique? The Red Rooster is your one-stop-shop for antique products. We offer an extensive selection of furniture, collectibles, dolls, jewelry and interior decorations. Discover the ideal item for your home or the perfect gift for someone else’s! Locally-owned and -operated, The Red Rooster has been the most intriguing antique store in Burnet County, TX since 2014. We pride ourselves in offering a large selection of unique items and selling them with top-level service to each and every customer. Our joy is in helping you find that special piece for your home or just the right gift for your friend or family member. With a great selection of interior decorations, furniture, collectibles, jewelry and more, our shop is a true treasure trove of unique items. We invite you to stop in today to peruse our collection. Open all seasons, we offer antiques and antique furniture in Burnet County, TX throughout the year. We acquire new items regularly, to keep our inventory fresh and exciting and to meet all your shopping needs. If you’re having trouble locating a hard-to-find item, don’t hesitate to ask our expert staff. We make your satisfaction our top priority. We’ll help you choose the best item to complete your room, your collection or your gift-shopping excursion. We love to pair you with items that you’ll cherish for a lifetime and pass on to future generations to enjoy. Visit us today to see what treasures from the past you can find for yourself or someone else! We are locally-owned and -operated, established in 2014. Our staff is dedicated to providing an enjoyable antique-shopping experience. We offer a great variety of items to complete your home or theirs. Our selection includes antique furniture, interior décor, dolls, collectibles and more. The Red Rooster offers the perfect selection of antique items to complete your shopping in one stop. Stop by today and see our ever-changing inventory.